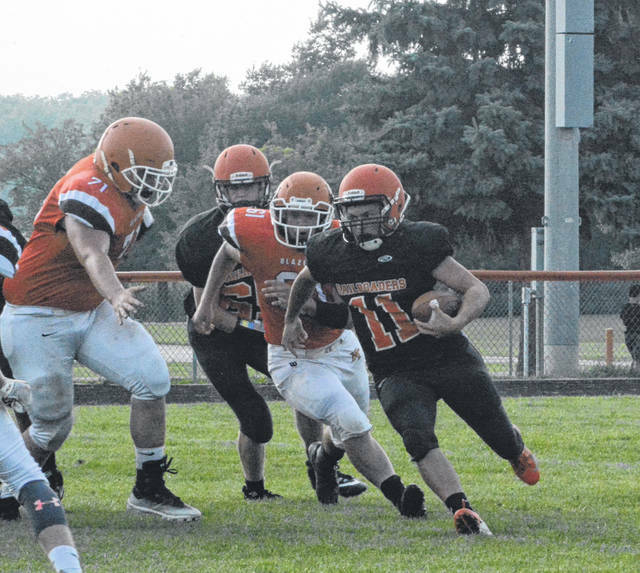 The Bradford football team competed in a scrimmage at National Trail on Friday. This was new Bradford head coach John Cruse’s first comment about the Bradford scrimmage against National Trail. But this phrase applies to the football program as a whole when it came close to being brought to a halt almost 24 hours before. 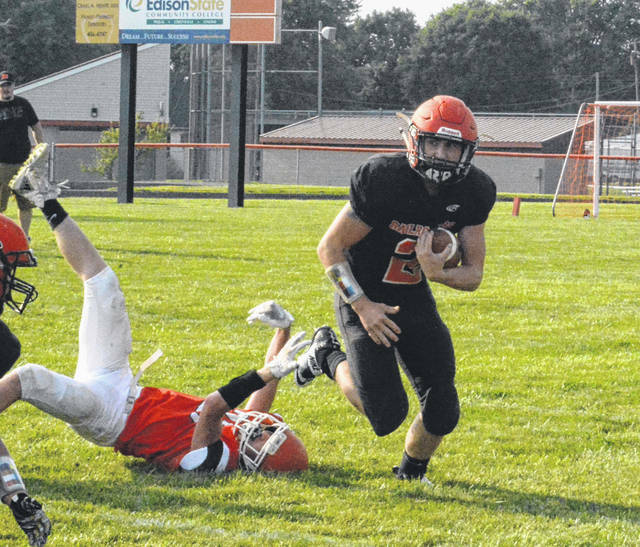 Bradford’s football program had gotten off to about as bad a start as a team could in the preseason. After starting with 22 kids at the beginning of two-a-days, the team melted away to just 13 players who refused to quit. Then the day before their second scrimmage and just a couple of weeks away from the start of the regular season their head coach resigned. The program was against the precipice, and prospects to even play the season were growing dim. 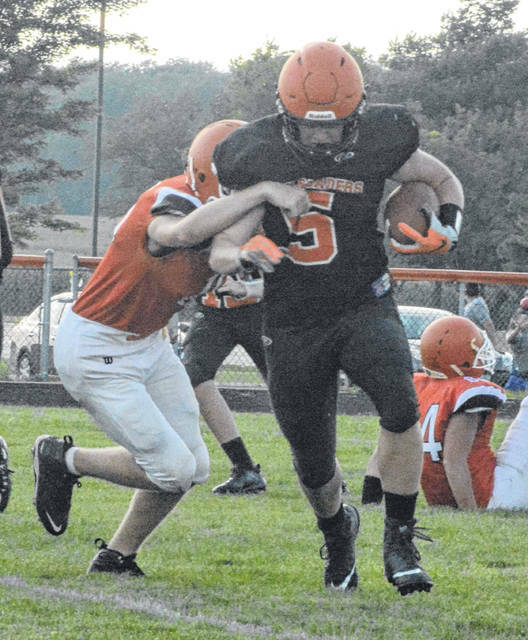 But longtime Bradford junior high coach Cruse stepped up to the challenge and accepted the head coach position just hours after his predecessor resigned. Now the real work begins – beginning with increasing the roster on short notice. 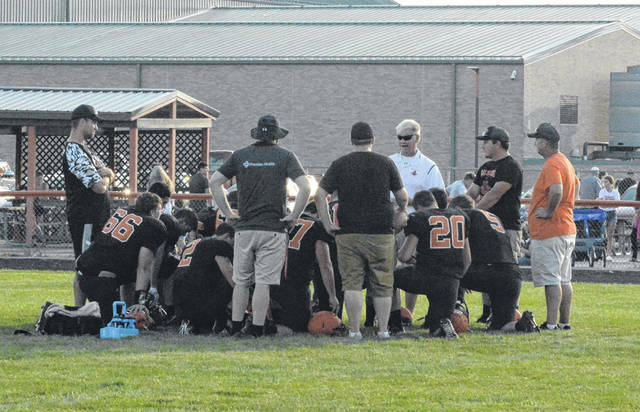 If the roster remains this small, the most important person on the Railroader sideline will be the trainer – working hard to keep the players patched up and on the field. The Railroaders cancelled their last scrimmage so that the coach can focus on getting his staff and players on board with his plans. Oh yeah, and there was a scrimmage too. Both teams spread out their offenses and had their quarterbacks in the back field. Bradford passed sparingly and featured the run. Their first series was their best. The team was able to grind out yards and move the chains when the teams were doing 10-play sets. Trail countered with a 3-5 defense, occasionally bringing a linebacker up to the line. Later in the scrimmage, Trail adjusted and the yardage was harder to come by. Trail had a good mix of the run and pass. They seemed to be big play oriented. They would either pass or run for big yardage. But the 4-4 defense of the Railroaders was of the bend but do not break variety. 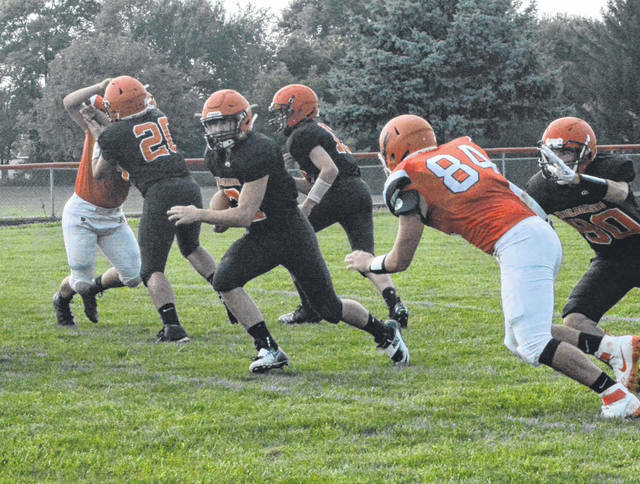 The Blazers got into the red zone several times, but the Railroaders held them to a single score. So not bad for a team that had to adjust to a new coach in just a day. So, the season will go forward. Small in numbers – like the Spartans in the movie “300”, they will be going against larger foes. They will catch their share of arrows, but one thing is for sure – they will never be quitters.